As part of my Type A mom series, today we’re talking about how to better manage our emotions. My post to Type A Wives Married to Type B Men is still hugely popular. The struggle is real, ladies. It ain’t easy being a woman. Okay fine, life is hard for everyone. But if you’re Type A, life is That Much harder. It just is. It is harder because, for Type A people, every problem should be fixed, every process should be efficient, and every person should be competent. That’s right. That’s why life is hard. Because we think life should be easy and it isn’t and that gives us a migraine and an eye twitch. What can I say? We were born like this. 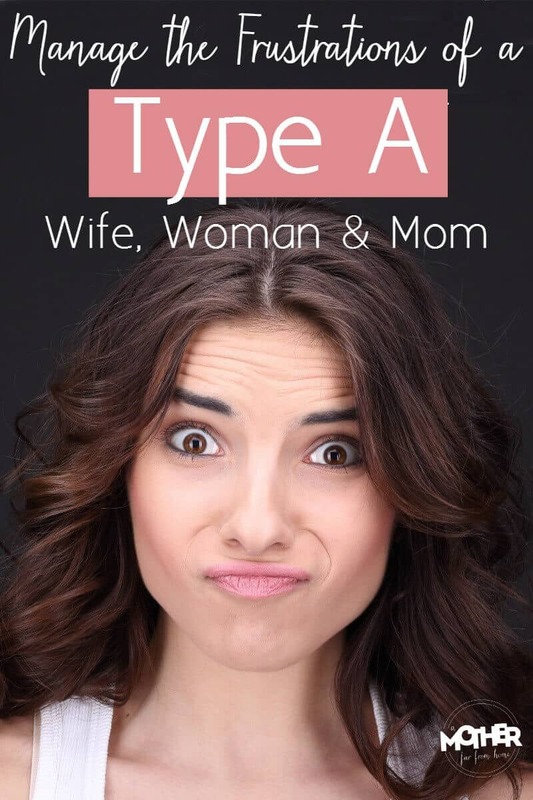 Where does the term Type A come from? Originally coined by a cardiologist, the Type A label was given to people who were more likely to suffer a cardiac event. Namely, those who were more driven, prone to stress, highly competitive, and impatient (source). Later in the 70’s a bestselling book was released called Type A Behavior and Your Heart, and it became a commonly used term. This was a tad bit shocking to me – although not really – because it was the first time I’d heard personality type (not just our choices) linked to health. Certain personalities are more likely to have the problems associated with stress because certain personalities are more prone to stress. Confident + Take Charge and Strong + Deliberate moms, I’m looking at you. This is nearly impossible for me. I think as I talk. Ideas come as my mouth opens and I do my best thinking on my feet. However, in times of conflict or tension, the worst thing I can do is let ‘er rip. What comes out is rarely gracious or kind, much less helpful to resolving a problem. We will experience a lot of regret and hurt others if we don’t learn to curb our tongues. After 6 years of marriage, I’ve only now developed the self-control to go away, think, then speak my mind. It caused me a lot of troubles early on (I’m married to a Type B man), but conversations are always more fruitful if you’ve thought a bit first. Your opinion might not change, but your delivery will. 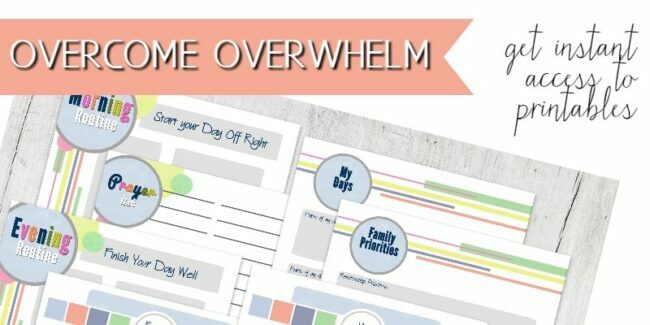 If you are deep in overwhelm and need to brainstorm to Get Out then try this overcoming overwhelm packet. It’ll give you big changes quickly! Only another Type A person can understand the intensity of emotion that comes upon us when things don’t go our way. Like traffic jams. Or betrayals. Or responsibilities. Or things that waste our time. I could go on, but I’m really making us look bad here. Instead of flying high on your rage and whipping yourself into action, calm down first. Pray, take a breather, and get some perspective. The intense feelings – when they’re upon us – feel like they will never fizzle out. They seem like an outboard motor pushing the boat faster and faster. And yet, they do fizzle. And if you haven’t waited before you’ve sprung into action you might find people wounded in your wake. Type A people notoriously believe they are always right. Even if they know it’s impossible to be right all the time, it’s hard for them to actually pinpoint a time when they were wrong. In their mind, it happens so infrequently. It was good for me to realize that I am not balanced. I’m too prone to stress, overwhelm, and anxiety. My standards and expectations are too high and that can prevent me from being a reasonable person. Some of the happiest times of my life were when I exercised every day. I didn’t put two and two together until doing the Dressing Your Truth course. I was happier and more relaxed and I believe exercise was key. Extroverted and high-strung personalities have an excess amount of internal energy and, without exercise, they can be found running around the house like a chicken with their head cut off finding things to do that don’t even need doing. One of the best things I’ve learned in the past few years is to get out my frustrations without taking them out on another person. Whether it’s praying, screaming into a pillow, or crying, I find that by releasing my emotions alone I am less likely to railroad another person. If I let my emotions build up they will explode on whoever happened to be near me at a bad time. We can learn to be more patient. We can learn to wait. We can give grace to others. It ain’t easy, but it is possible. 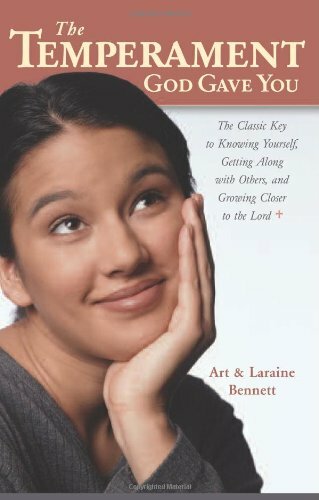 A recent book I’ve read is The Temperament God Gave You. It talks about the four temperaments and how they work. Both in marriage and parenting, which I found very valuable. I believe many of my edges have softened after having read the book, and that’s saying a lot. I’ve created a free email series just for you! I believe our personalities dramatically affect how we parent and mother. And that’s a good thing! No more feeling guilty you don’t seem to have the strengths of Mrs. Stepford or Mrs. Jones. You are unique and you have specific strengths you bring to your family! Do you have tips for living with a type a husband? Whitney, my husband is as Type B as you can get so if I posted on this I’d only be guessing… however… I might try to work this up! Ha! Makes sense! Maybe your husband could give tips on living with and loving well a type a spouse. Great post, I really need to let that intensity go first. Like that. FYI, your auto-play ad was driving me insane. HAHa, just thought you’d want to know. Maybe you don’t, but I would. Ugh, I will let them know. I HATE when that happens! hahahahaha Are you a DYT T3 or T4? (I find that some of the things you mentioned are T3 traits and some are T4 traits. I’m a T3 married to a T4.) Dressing Your Truth — and The Child Whisperer — have been so, so helpful for me! I was already a bit of a “personality junkie,” as you call it, before, but The Child Whisperer, especially, made a lot more practical “everyday” observations about how different people think that has made me much better with my younger kids than I was when my older ones were small, and has overflowed to my interactions with other people, too. This article helped me feel a lot better about my current situation. My mother is a business woman, and has a very strong type A personality, and being a sensitive teenage girl, it affects me quite a bit. At times its very hard to deal with seeing as I am quite opposite to her. I often feel very pressured and overwhelmed with her methods, and seeing how hard she is on herself when things don’t go as planned for her is sad to me. Seeing how she reacts to the things she cant be in total control over is stressful for me to witness, shes extremely hard on herself, and at times I feel like it’s too much for me to witness and handle. This article made me feel much better about my situation. It gave me the hope that my mom can manage her stress and use her strengths rather than focusing so hard on her weaknesses. It also gave me the hope that I can now talk to her and give her some of my own advice which I’m usually to afraid to do. Thank you for everything!